Bronchitis is an inflammation in the lungs that some people call a chest cold. 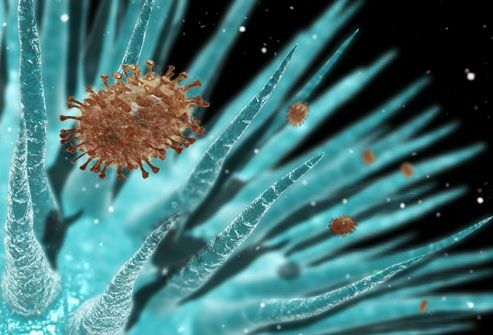 It can be a miserable, but minor, illness that follows a viral illness like the common cold -- or may follow a more serious condition like a chronic smoker's hack. Bronchitis can also be caused by exposure to smoke, chemical irritants, or bacteria. A cough, phlegm, and feeling tired are typical symptoms of bronchitis, but these are also symptoms of other illnesses, so getting the right diagnosis and treatment is important. 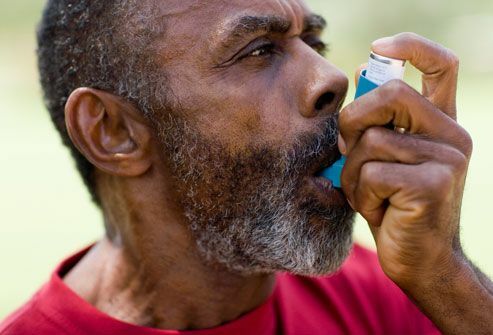 When the bronchial tubes that carry air deep into your lungs become inflamed, the inner lining swells and grows thicker, narrowing the breathing passages. These irritated membranes also secrete extra mucus, which coats and sometimes clogs the small airways. 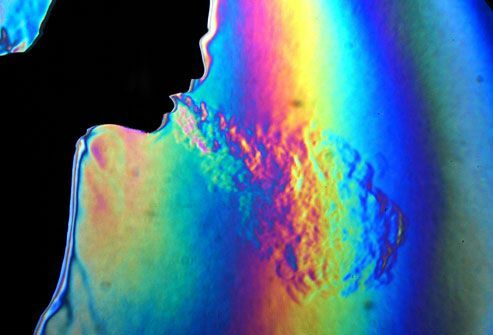 Coughing spells are the body's way of trying to clear out these secretions for easier breathing. Fever is unusual and suggests pneumonia or flu. Acute Bronchitis: How Long Does It Last? Acute bronchitis often develops three to four days after a cold or the flu. 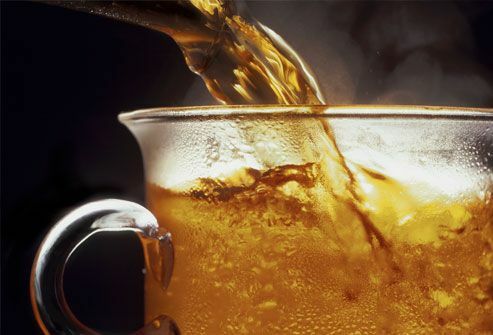 It may start with a dry cough, then after a few days the coughing spells may bring up mucus. Most people get over an acute bout of bronchitis in two to three weeks, although the cough can sometimes hang on for four weeks or more. If you're in otherwise good health, your lungs will return to normal after you've recovered from the initial infection. Doctors suspect this illness when you have a cough with phlegm on most days for at least three months in a year, for two years in a row. Chronic bronchitis is a serious condition that makes your lungs a breeding ground for bacterial infections and may require ongoing medical treatment. 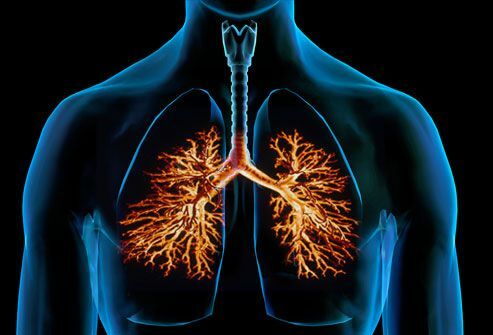 It's one form of chronic obstructive pulmonary disease (COPD), a lung disease that makes it hard to breathe. 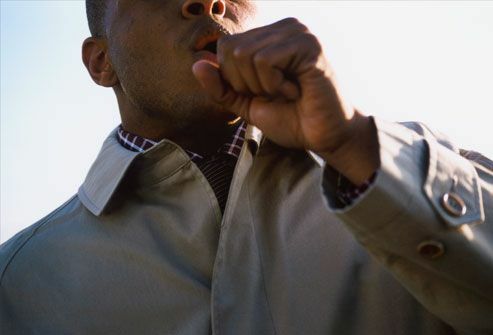 The "smoker's cough" is sometimes a sign of bronchitis and COPD. 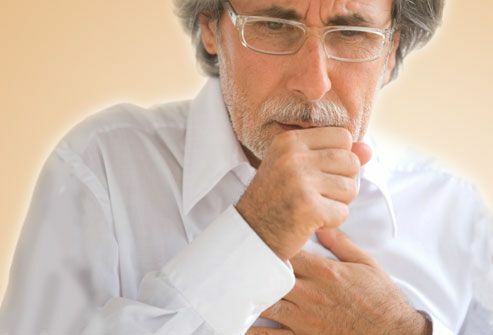 The symptoms of bronchitis are often the same as those of other conditions, such as asthma, pneumonia, allergies, the common cold, influenza, sinusitis, and even gastroesophageal reflux disease (GERD) and lung cancer. See your doctor to get an accurate diagnosis. Serious illnesses like pneumonia require prompt treatment. This form of bronchitis is more common in winter and nine out of 10 cases are caused by a virus. 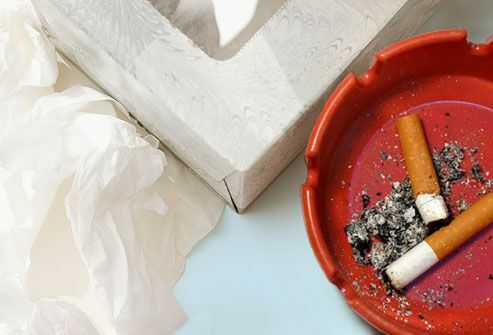 Irritants -- like tobacco smoke, smog, chemicals in household cleaners, even fumes or dust in the environment -- can also cause acute bronchitis. Smoking is by far the most common cause of chronic bronchitis. Workplace exposure to dust and toxic gases is a much less common cause, seen in miners and grain handlers. Air pollution can make symptoms worse for people with chronic bronchitis. A smoker who gets acute bronchitis will have a much harder time recovering. 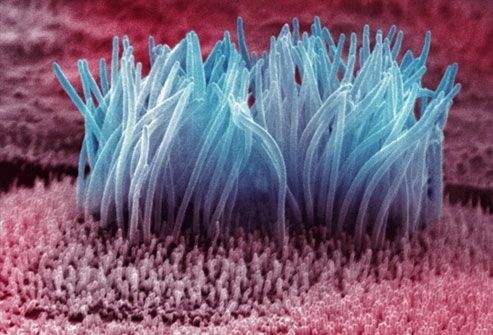 Even one puff on a cigarette can cause temporary damage to the tiny hair-like structures (cilia) in the airways that brush out debris, irritants, and excess mucus. 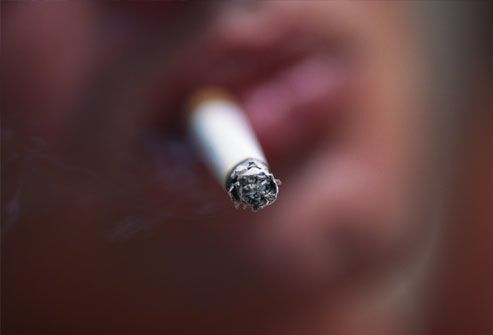 Further smoking continues the damage and increases the chances of chronic bronchitis, which can lead to increased risk of lung infection and permanent lung damage. Bottom line: It's time to quit. Doctors usually diagnose acute bronchitis by reviewing how your symptoms have developed over time and through a physical examination. 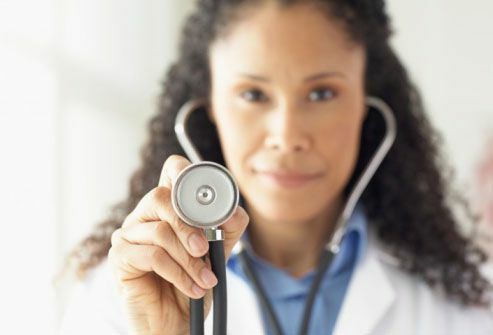 Using a stethoscope, your doctor will listen for any abnormal sounds produced within your lungs when you breathe. Your doctor may recommend pulmonary function testing after doing a medical history and physical exam. 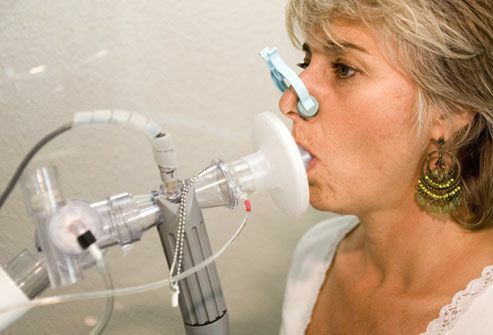 Pulmonary function tests like spirometry measure how well the lungs are working. A chest X-ray may also be done. The only treatment generally needed for acute bronchitis is symptom relief: Drink lots of fluids; get plenty of rest; and avoiding smoke and fumes. A non-prescription pain reliever may help with body aches. Your doctor may prescribe an expectorant to help loosen mucus so it can be more easily coughed up or an inhaled bronchodilator medicine to open your airways. If you have chronic bronchitis related to smoking, the most important thing to do is to quit smoking to prevent ongoing damage to your lungs. Unless your doctor advises against it, get a pneumococcal vaccine and an annual flu vaccine. Treatment may include bronchodilators and steroids (inhaled or by mouth). 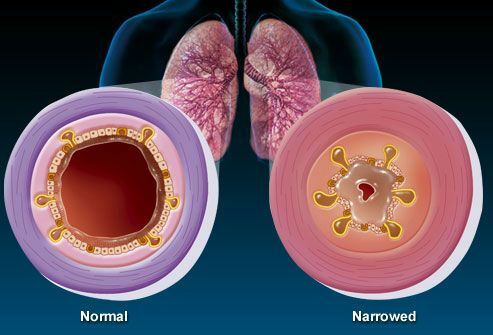 Chronic bronchitis and emphysema are the two main forms of chronic obstructive pulmonary disease. Doctors may prescribe bronchodilators, which are drugs that help open constricted airways. 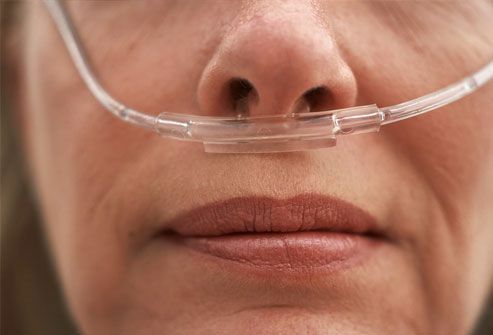 Oxygen therapy helps some people breathe better and a pulmonary rehab program can improve your quality of life. Quitting smoking is a must to stop further lung damage. 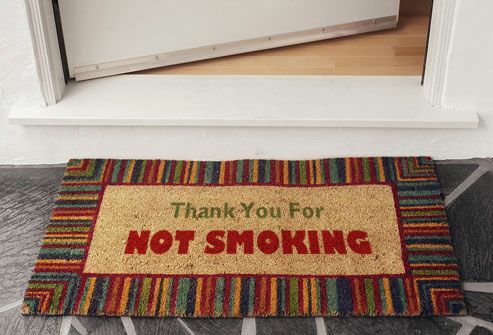 It's no surprise that the best way to decrease your risk is not to smoke or allow others to smoke in your home. Other ways include: avoiding colds and staying away from things that irritate your nose, throat, and lungs, such as dust or pets. Also, if you catch a cold, get plenty of rest and take your medicine as directed. (4) Gary S. Settles / Photo Researchers, Inc.
(6) Olivier Voisin / Photo Researchers, Inc.
(8) Karsten Schneider / Photo Researchers, Inc.
(12) BSIP / Photo Researchers, Inc.
Brunton, S. American Journal of Managed Care, October 2004. ERS Task Force. European Respiratory Journal, September 2004. Martinez, F. Comprehensive Therapy, Spring 2004. Smucny, J. Cochrane Database System Reviews, October 2004. Steinman, M. American Journal of Geriatric Society, June 2004. University of California San Francisco Medical Center.